Nice bloke that Lee Westwood. Supports Nottingham Forest, you know. I was in the box at Doncaster on Saturday and had a nice chat with him. While I was watching the closing stages of the golf last weekend when he played so well in company with Rory McIlroy, I didn’t get the impression of what a big bloke he is. No wonder he had plenty of the beef on his plate. Nice catering at Doncaster. He said on the telly after his great effort that he would be going home for the week before returning for the $10million shoot-out in the Players Championship, starting on Thursday. I hope either he or Rory wins it. Lee probably needs it more, especially with Hoof It recovering from a Hobday operation and Mrs Lee – sister I believe to Andrew Coltart, she’s neat and Scottish anyway – needing a few dollars to pay for the move to Florida. Mrs Lee looks a very nice lady, with a bit of a wee sparkle in the eye. Whether it’s because she recently read THAT book, you know the saucy one that people like her who “never read” have read and the one you see people with on the bus and the tube. I don’t even know the name of it and cannot be bothered to track it down via google! At one time, while I got down to the serious business of choosing whether it would be summer pudding or that chocolate concoction that would round off my repast – I’d started with the smoked salmon – Lee’s famous trainer, Mr Michael Easterby, he of the interesting trousers and many thousands of acres, emerged over the threshold. “Lee, he’s got another horse for you”, said someone, a frivolous comment that threatened to make Mrs Lee bridle with Scottish anxiety at the waste of more good money. But that soon passed over. If I can relate a Mick Easterby story, which also emanates from a day at Doncaster, in this case a summer evening, and concerns a case of mistaken identity. I was at Doncaster to witness a runner for Prince Ahmed Salman’s Thoroughbred Corporation – the green and white stripes that no longer adorn the British turf, following his sad death a decade ago. In those days, along with Willie Carson I was part of the entourage, dealing among other things with securing boxes at the last minute, and it was in one of said boxes that we watched a two-year-old win a seller with alacrity. Always willing to help, and with the capacity always to make two and two five, I had a Eureka moment. Mick Easterby! I suggested. And so, through the good offices of his nephew Tim, who trained for Thoroughbred Corp at the time, the two-year-old found its way to Mick. There was no great outcome in terms of results from the horse, but a couple of weeks later at Newbury, closure of sorts was effected. “There’s the trainer I was talking about!” exclaimed the prince, pointing to an exceedingly portly gentleman, at least 35 years younger than Mick and dressed rather more sartorially, given that his bulk necessitated similarly generous garments to my own. It was Charles Egerton, Etonian, future London Marathon hero and like Easterby a genius trainer, but landed gentry rather than lifelong-scrimping Yorkshire landowner. I related the story to Mick for about the third time on Saturday, and Lee listened with some gentle amusement. Don’t suppose it took his mind off next week’s $10 million possible payoff, or his upcoming responsibility at the St Leger winner’s presentation. Like all of us in that particular box, Lee will have been rooting for Camelot, along in his case with Nottingham Forest. Later, long after the presentation to Simon Crisford for Encke, whose turn of foot at the crucial time was the difference as Camelot did not instantly find the acceleration that had characterised all his earlier efforts, I saw Forest had fallen behind, but I didn’t want to upset our golfing hero. In the car on the way home, they had gone 2-0 down, but rallied to 2-2. Lee’ll be happy. 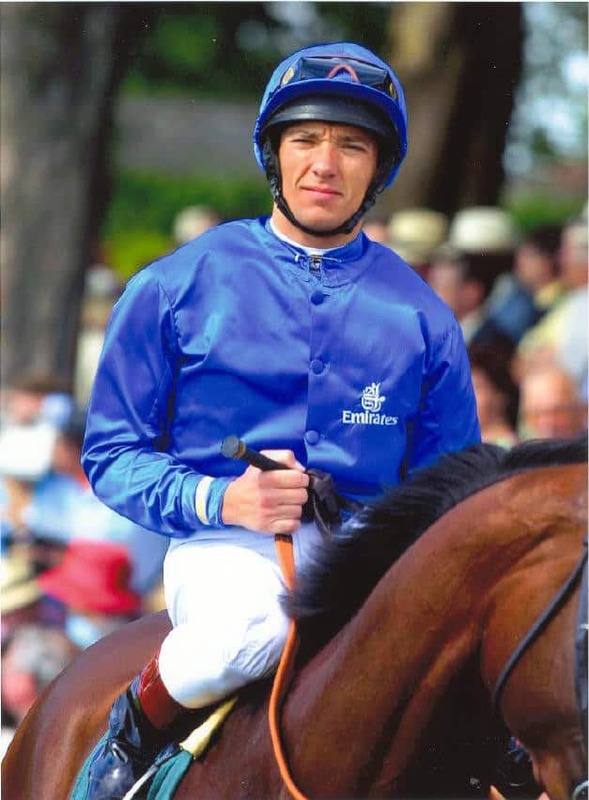 Among the inner circle of the Camelot brigade, only Paul Smith, son of Chelsea fan Derrick, shares my and my pal Harry Taylor’s Arsenal allegiance, but his team’s 6-1 romp was almost an ironic sidebar to the deprivation of history for the great horse. This defeat will be considered, like most Premier League reverses, in black and white by most people. In truth it will make no difference to his status as a great or even his future prospects at Coolmore stud as the true successor to his own recently deceased sire Montjeu. To win what he has in the style he achieved it was far out of the ordinary. Earlier, as I stood on the balcony on the far point of the stand’s fourth floor looking over the daunting five-furlong straight, I must say I felt trepidation at what this horse was attempting. In my and indeed Michael Tabor, John Magnier and Derrick Smith’s lifetime, only Nijinsky (1970) followed Bahran (1935) as a Triple Crown winner. On Saturday, it was not just the quality of horse that stood in the way of Aidan, Anne-Marie, Joseph and the three other young O’Briens’ making history, it was some exceptional trainers, John Gosden, Sir Henry Cecil, Mahmood Al Zarooni, David Lanigan, Tommy Carmody/ Johnny Murtagh and William Haggas that challenged the favourite. In the pre-parade I was struck by the size and strength of all the runners, even pacemaker Dartford, and when I talked briefly to William Haggas when the Highclere team, which included Tory ex-minster Michael Howard, stepped away, he said: “It would be a great race, even without Camelot”. He like me considers the St Leger – brought to new vibrancy by the ever-astute Mike Dillon and sponsors Ladbrokes – virtually a two-mile race, and it was in that context that Camelot’s initial inability to quicken instantly should be judged. I prefer to remember his brave, albeit unavailing last-furlong effort which clawed back almost all the three lengths by which Mikael Barzalona went clear of him. It was an event to round off that amazing summer of sport and if not the right result for all of us in that box, and most racing fans, it showed the enduring appeal of horse racing. There’s no certainty in racing, just as Rory McIlroy must be aware there’s no certainty in golf. Especially if Mrs Lee reads that book again! This weekend sees the 204th running of the QIPCO 2000 Guineas, and it's time for Geegeez to offer up our 2000 Guineas Preview and 2000 Guineas Tips. As ever, I'll attempt to combine trends and form, and maybe even chuck in a bit of breeding for good measure, in a bid to bag the winner. Let's first look through the trends for meaningful profile pointers in past winners of the race. I'll consider the last fifteen renewals, going back as far as the 1997 iteration, won by Sir Michael Stoute's Entrepreneur. This is a Classic race over a mile, and is the first serious pot for the very best horses of the three-year-old crop to stake a claim for glory. As such, it makes sense that it attracts the very best horses. No surprise at all then that all of the last fifteen winners finished in the first three last time out, and twelve of them won last time out. The three who didn't - Henrythenavigator, Cockney Rebel and King's Best - all placed in a Group race on their last start. Indeed, the first two named were placed in a Group 2, and I'm inclined to exclude any runner that did not either win last time, or at least place in Group 1 or 2 company last time. This single factor counts against no less then ten of the eighteen declared runners, including both Born To Sea and Abtaal, the joint second favourites. The only horse beaten in his three year old career prior to winning the 2000 Guineas since Zafonic in 1993, was Kings Best, in 2000. Both were beaten half a length or less, so I might be prepared to allow a horse narrowly beaten on seasonal debut back in. That would nudge the door ajar for Abtaal. No winner had raced more than five times in their career before scoring 2000 Guineas glory. 57 have tried. Caspar Netschar has had eleven races, and surely won't stay a mile. Coupe De Ville has had seven starts and was fair thumped last time; French Fifteen has had eight starts already, though only beaten once since debut (by Abtaal); Power has had six starts; Red Duke seven; Redact six; Saigon seven; Talwar eight; Trumpet Major nine. If that five run cut off seems somewhat arbitrary (which it may actually be), then consider the place statistics. Only seven of those 57 exposed horses made the frame, which is just 12.28%. This compares unfavourably with the 17.84% of those raced five times or less who made the frame (38 of 213). Side with less exposed horses is the clear percentage play. What about race fitness, and the benefit of a run this season? Well, Frankel came out and won the 2000 Guineas by a street last year, having had a previous run (and win) in the Greenham Stakes. 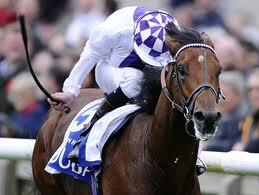 In 2010, Makfi won the Group 3 Prix Djebel before taking 2000 Guineas glory. (That same race saw French Fifteen, Abtaal and Hermival run 1-2-3 this year). And then, between 2001 and 2009, only Refuse To Bend had a prep run that season before winning the Guineas. 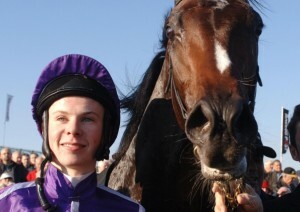 He won the Leopardstown Trial, but the other eight winners of the 2000 Guineas were making their first start of the season. What does this mean? Good question, and I can't be absolute except to say that the little '-' may be immaterial and fitness can generally be taken on trust, as long as ability is there. Interestingly, perhaps, only three of the last ten runnings have been won by the home team. Ireland has claimed six, and France one. Given the percentage of runners per nation, I'm tempted to lean heavily overseas when looking for the winner. Now what about the merit of the recognised two year old trials, and especially the Racing Post Trophy? Well, if you're heavily involved in Camelot at a short price, look away now..! It is forty years since a Racing Post Trophy winner won the 2000 Guineas the following season, and that's not a stat I like when considering 5/4 about last year's winner of the Racing Post Trophy. Further speed concerns are raised when you consider that since 2001, three Racing Post Trophy winners have gone on to win the Derby (High Chapparal, Motivator and Authorized), and one, Brian Boru, has gone on to win the St Leger!!! A significant body of evidence points squarely towards Camelot being more of a middle distance horse, not least of which is his breeding. more of that in a second. For those of you who are value hunters, you may also like to know that well beaten horses from the Racing Post Trophy have been known to run into the places in the 2000 Guineas at monster prices. Dubawi Gold finished 9th in the RPT, and was then second in the Guineas last year at 33/1. Norse Dancer was only 7th in the RPT, but bagged third in the 2000 Guineas, at no less than 100/1 (!) in 2003. And Redback was 3rd in both races, his Guineas bronze coming at 25/1, in 2002. OK, so what of the form coming into the race? As you might expect from such an early season puzzle, with many horses unraced this year, there are plenty of elements which need to be projected and/or taken on trust. This is not a place I like to invest too much folding as a consequence. With that caveat in place, let's take a look at the main form contenders. 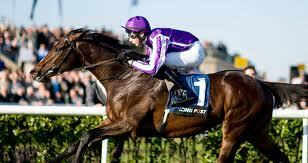 The strong favourite is Camelot, from the Aidan O'Brien stable. Facile winner of a slow run Racing Post Trophy, beating four rivals, he'd previously beaten four rivals on his only other start. That debut run was another easy success, where he beat a horse called All Approved. All Approved now has an official rating of 76, off which he cannot win. The second horse in the Racing Post Trophy, Zip Top, was beaten the same distance by a horse called Crius on his previous start, in a Group 3. Crius has since been beaten five lengths by Trumpet Major. In other words, if you bet Camelot at short odds on the basis of the visual impression of two small field wins against questionable form yardsticks, you'll get what you deserve. 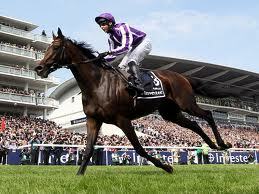 Now, please understand, Camelot could win the 2000 Guineas. I'm not saying he can't. I'm simply highlighting that there must be half a dozen horses in the field with a more robust form claim, notwithstanding their lesser upside potential. Even more significantly, any son of Montjeu has an extremely damning statistic to overcome in the 2000 Guineas. Montjeu has sired over 150 horses that have been officially rated 100 or higher. Yet, of all those talented horses, not a single one of them has won a Group race at a mile or shorter as a three-year-old or older in Europe. Indeed, just a handful of them have won at Listed level within that criteria, with one of those being, interestingly enough, Hurricane Fly. It is very rare to have a black-and-white statistic of such notability in the case of a well-established sire and the significance of such a stat shouldn’t be underplayed in the case of Camelot. I'll be looking elsewhere for my wager. But where? Next in the betting - at around the 9/1 mark - are Born To Sea, Abtaal, Trumpet Major, and Top Offer. Let's look at this quartet. Born To Sea was born to be famous, as a half brother to the brilliant 2000 Guineas winner, Sea The Stars. Their mum, Urban Sea, is one of the great race and broodmares of all time, having borne Galileo, Sea The Stars, Black Sam Bellamy, My Typhoon (six time Group winner), and All Too Beautiful. She herself was also the winner of seven races at Listed or higher grade, including the Arc! Incroyable, as they say in France. Born To Sea was readily outpointed on his second - and final - juvenile start, and he's not been seen since. That day, Nephrite trumped him, but Nephrite has himself been well trumped in Listed company (though he may have needed the run, it's hardly Guineas-winning collateral form). Abtaal is next in plenty of lists, and he was beaten a neck by the re-opposing French Fifteen last time out in the race Makfi won prior to winning here in 2010. Hermival was third, one and a half lengths behind FF and Abtaal. Given that Abtaal actually stumbled when coming to make his challenge, and only just failed to uphold a three length win over French Fifteen he'd scored last year, this is probably a performance that can be marked up. That the race was run on softish going, and Abtaal has won on 'very soft' before means conditions at Newmarket will hold no fears. This chap has plenty of pace, and the only slight doubt is around whether he can last home in a fast run mile, as this is sure to be. Of the two others from the Prix Djebel, French Fifteen cannot be dismissed lightly. Since finishing last on his debut, he has only been beaten once - that three length loss over a mile at Longchamp behind Abtaal - in seven subsequent starts. His wins include the Group 1 Criterium International, but I just can't help but feel that Abtaal will have his legs, and that he might be better suited to the mile and a quarter of the Prix de Jockey Club in due course. Hermival wasn't beaten far on just his second start, and he represents the same trainer as Makfi, the brilliant Mikael Delzangles. The more I look at this chap, the more of a liking I have for him. Yes, I know he was soundly beaten last time. But that was over seven furlongs, and he was going best of all late in the race. It's also the case that he probably has most improvement in him, and that - as a son of Dubawi - he may enjoy the soft going more than many. 22/1 is tempting, without being spectacular value. Top Offer was mightily impressive on his sole start to date, a Newbury maiden. His action there suggested that faster ground would be ideal, as he seemed to skip off the good going. The second and third horses from there have since been beaten, and the fourth and fifth - although both have won - look capable if unexceptional (rated a downward-descending 99 and 85 respectively). Trumpet Major is interesting. I think his easy win in the Craven last month is the strongest trial form this year, outside of France at least, and albeit that he probably has less improvement than many of his rivals. Nevertheless, it's hard not to like the course and distance success that day, when there was give in the ground and a headwind. He was giving his rivals three pounds there, but more materially perhaps was that he seems to have the kind of action that implies soft ground will be right up his street. True, he did finish last of four on his only run on soft, but I'm sure that was much more to do with him running - and winning - just nine days beforehand. Certainly, it's hard to blame the ground for an eight and a half length form turnaround with Talwar, from a previous run on good to soft. Power and Fencing are the next two in the market and, aside from Talwar at 40/1, it's difficult to make any sort of case for the remainder. Power has yet to be outside the first two in five starts, including a win and two runners up finishes in Group 1's. Whilst he's more exposed than his stablemate, Camelot, he also brings a more reliable level of form to the table. However, there must be doubts about his ability to get the mile here, as he's looked all out at seven furlongs and has shown plenty of speed earlier in his career. I can see him running a big race in the Group 1 sprints this summer, notwithstanding a certain Black Caviar who might get in the way there! Fencing was third in the Racing Post Trophy as mentioned, and that bare form wouldn't give him a winning chance here. However, looking at the overall balance of his form - notably his win from Telwaar in a Listed race - he ought to run a nice race, without perhaps being good enough. Talwar is a really interesting supplementary entry. It costs £40,000 to supplement a horse for this, which is the same amount a horse wins for finishing third here. Clearly, connections are hopeful of a podium finish. His win in a Lingfield Listed race may not seem very good, until you consider that it was the race won by a certain Dubawi Gold last year, before that one ran closest to Frankel in the 2000 Guineas. His form on soft ground is proven - he won an aforementioned Group 3 contest, beating Trumpet Major amongst others - and there's an argument to suggest he was running when 'over the top' towards the end of last season. At 40/1, he's one rag I'd be happy enough to have a couple of shekels each way on, in a race where eight of 52 horses priced between 25/1 and 40/1 have been placed (and two have won) since 1997. 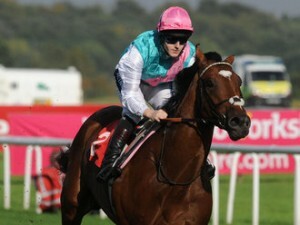 So, after a lot of deliberation, we get to the 2012 QIPCO 2000 Guineas tips. Firstly, I'm completely against Camelot. If he wins, fair enough, but I'll always look to oppose a short-priced horse like that who has so much to prove. The most likely winner for me is probably Abtaal, who brings very solid form, an ability to handle the ground, and a perfectly legitimate excuse for a narrow defeat the last day. I think 9/1 each way is the best wager in the race. Of the remainder, for those who want something at a bigger price, Trumpet Major was mightily impressive in winning the Craven over course and distance. This is clearly much tougher, but there will be no worries about trip, track or ground, and he has place prospects. I think Talwar has an excellent chance of outrunning his market position - eleventh - and squeezing into the money. Not only did he win the same Lingfield Listed race that last year's 2000 Guineas second did, but he also finished at the back of the Racing Post Trophy, as last year's 2000 Guineas second did. I'm also quite sweet on the prospects of Hermival, who for me is the one most likely to improve in the field. Mickael Delzangles does not bring them over for fun, and has run just twelve horses in the UK in the last seven years. They included Makfi, 33/1 winner of this in 2010; Chineur, 7/1 winner of the Kings Stand Stakes in 2005; and Shankardeh, 6/1 second in last year's Lillie Langtry Stakes. (Hermival also carries the first string colours of the owner, whose other horse is the better fancied - in the betting at least - French Fifteen). All the details are here, so get on over and get your entries in. They have to be submitted before racing this Saturday, 5th May. So get your skates on!